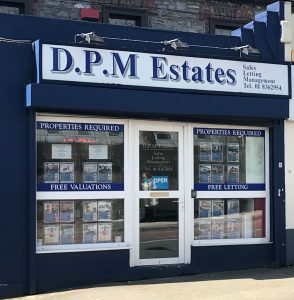 D.P.M Estates are a Residential and Commercial Sales Letting and Property Management Company conveniently Located on Glasnevin Hill, Dublin 9 (Adjacent to Met Eireann). We cover all Dublin and surrounding areas. With 90% of our business coming from referrals, we at D.P.M Estates are very proud of the professional approach and personal service that we give to all new and existing clients. Fully licensed with the Property Service Regulator, we have ample years of experience and with a wide range of services available on hand to suit your requirements. Our Excellent Rates and Quality of Service will not be beaten. to both the Residential & Commercial Markets. Or simply email us and we will walk you through the process.